“Remember the Time” you “Got to be There”? There in front of your television when the Jackson 5 first grabbed the attention of the nation on the Ed Sullivan show singing a medley that included “ABC” and “The Love you Save”? Ahhh, yeah! They were “Bad”! Not in a “Dangerous” way … well at least not for us. Some folk recognized the family’s potential and lo & behold … The Osmonds showed up! An all white Mormon family (does it get any whiter?) that was extremely talented and sounded… just like The Jackson 5! The Osmonds and the Jacksons seemed to get along famously but at that time society was still too vested in pitting Black against White, so there was always a certain degree of tension surrounding the issue of which was the better group. You see not long before, The Beatles came across the pond and folk went crazy! And rightfully so … some of their music was world changing too; that’s why Michael bought it! But this was our time! We were in a land at a time when most Black folk felt that “They Don’t Care About Us”. It didn’t matter whether you were “Black or White”, “Bille Jean” King or Bobby Riggs, a “Tabloid Junkie” or a “Stranger in Moscow”, you danced whenever a J5 “Jam” came on … even if there was “Blood on the Dance Floor”! You just couldn’t “Beat it”! 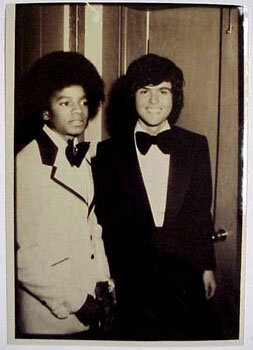 Before things were “off the chain” they were “Off the Wall”! Health scares began to arise. With AIDS coming on the scene, the last thing you wanted to see on the dance floor was blood. The Gay community wrongly bore the brunt of the blame humiliation and violence at that time. Being quiet was no longer the answer … they couldn’t “Keep it in the Closet” any longer. So they began to “Scream” to be recognized, heard and respected. As time moved on, so did the family Jackson. Motown’s Jackson 5 became The Jacksons of Epic and added Randy. That “P.Y.T.” Janet graduated from having a crush on J.J. as Penny on Good Times to having a crush on Willis as Charlene on Different Strokes. Jermaine tried to hang on with Motown but broke up with Barry Gordy’s daughter. As Jackie dated Paula, Latoya donned her headband and Rebbie had two hits in one with “Centipede” … her first and her last! Through all of this, Michael, who had to be a man as a child, desperately grasped for childhood as a man. Ahhh, but he was such a “Thriller”! Amid all accusations, “This Time Around”, it was all about Mike, the fame and the “Money”. He forced us all to “Come Together” through his music in an effort to “Heal the World”. He even told folk in the most remote third world countries, “You Are Not Alone”. “Looking Through the Windows” of my life, I recognize there was never a time when there was no Michael Jackson. From the time my mother took me to see the Jackson 5 at the Civic Center (now the 1st Mariner Bank Arena) in Baltimore, Maryland in 1972 until yesterday … his voice, coupled with those infectious rhythms and hooks still course through my veins. In all of us there is always some bad mixed in with the good. As it is for you and me, so it is for Mike … it’s “Human Nature”. But now, “(S)he’s Out of My Life”. He spent his childhood creating the soundtrack for ours … and beyond! He never stopped. And for that, Michael, I love, thank and applaud you. 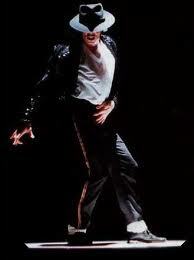 “I Want You Back” and I would love to “Rock With You” for many more years but it is not to be. I choose not to be depressed about the fact that you have gone on but rather to rejoice in the fact that God decided to allow you to visit with us … even if only for a little while. Now, I don’t “Wanna Be Startin’ Somethin’ ” … but I really think the world weighed on you and you had grown tired. But now you can rest. So, when I look at the “Man in the Mirror” and think about your music and “The Way You Make Me Feel” I will remember you as the “Smooth Criminal” who stole our hearts, sang and danced your way into our lives and stayed there. Thank you and thank God for you. Rest now, Michael … just rest. this is great wendell…look forward to seeing your post…I know they will continue to move and inspire us. God Bless! I think that it took, “YOU”, the creative person that you are to come up with the inspiration and with the fluidity of this message….Job well done! and at such a moment that the world needs to be consoled when referencing MJ. Keep up the good work…Im sure that it will lead to MORE! Wendell that is some good _ _ _ t you put down. This was wonderful to read. I loved it. I miss those years of growing up. Even the painful memories bring new meaning to life. Please keep writing ….I would love to read more. Peace the little one at the church who always had a crush on Pooh Bear. Love you and Miss your Dad’s smiles and hugs. Simply put an outstanding piece of work my brother!